People who use their strengths every day are 6X more likely to feel engaged at work, 8% more productive, 15% less likely to leave and 3X more likely to have excellent quality of life¹. 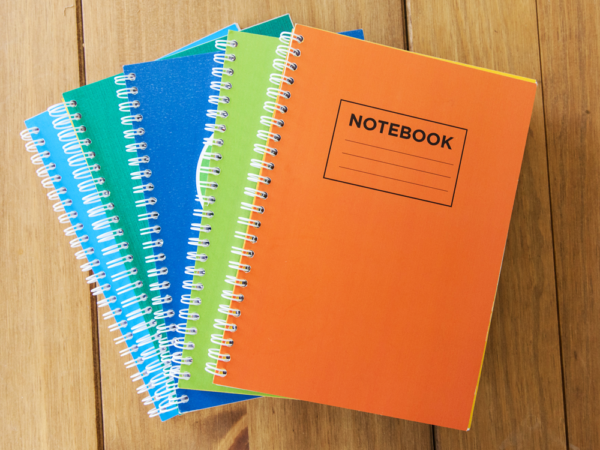 Did you know that strengths aren’t just the things we’re good at? 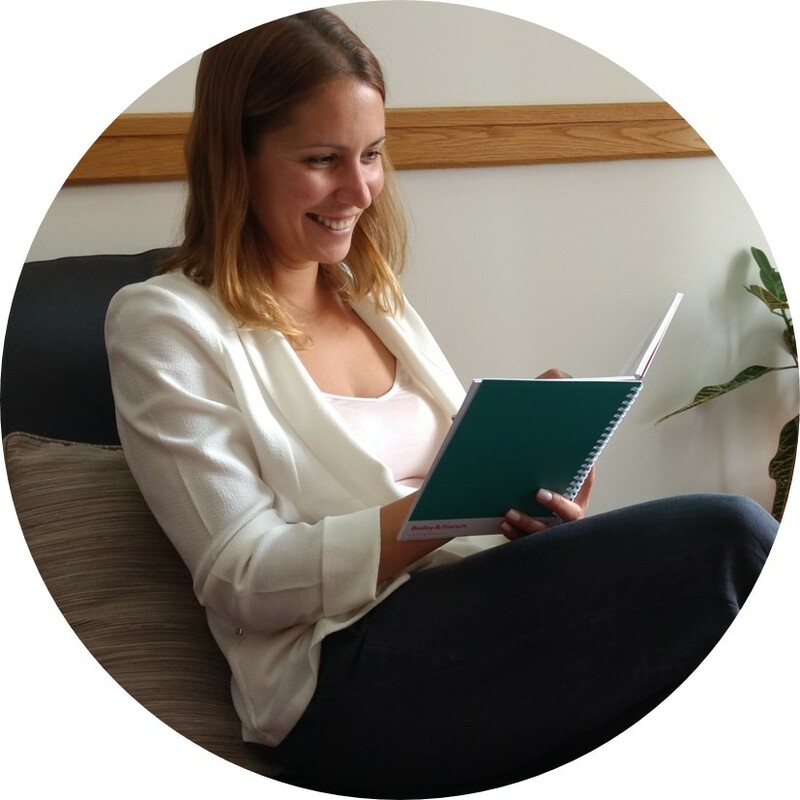 Strengths are abilities that we have that are authentic, energising & easy for us to use. 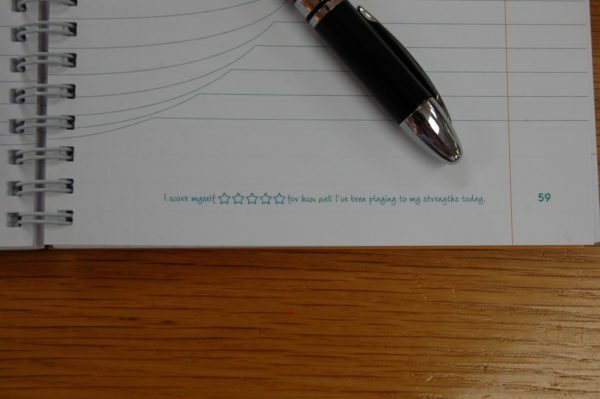 Science has shown that people who play to their strengths more often at work have increased performance and wellbeing. 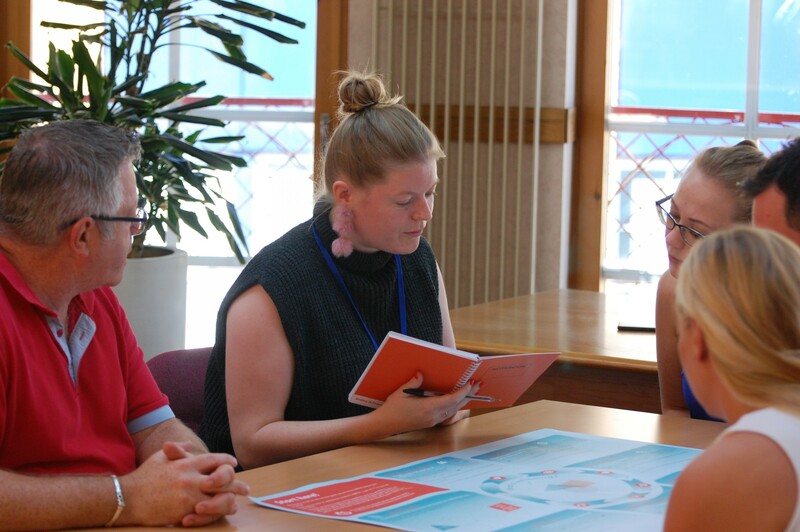 ‘Let’s Talk Strengths’ cards are easy-to-use for having conversations about our strengths and how to apply them more skilfully in our daily lives. 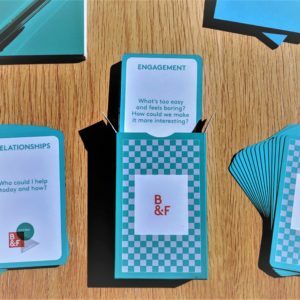 These cards offer quick activities, action points or questions that can be used in a wide range of conversation activities and events such as meetings, 121’s, huddles or lunch’n’learns. A great tool for managers, coaches, and L&D professionals. Having great wellbeing conversations is a skill that can be learned. 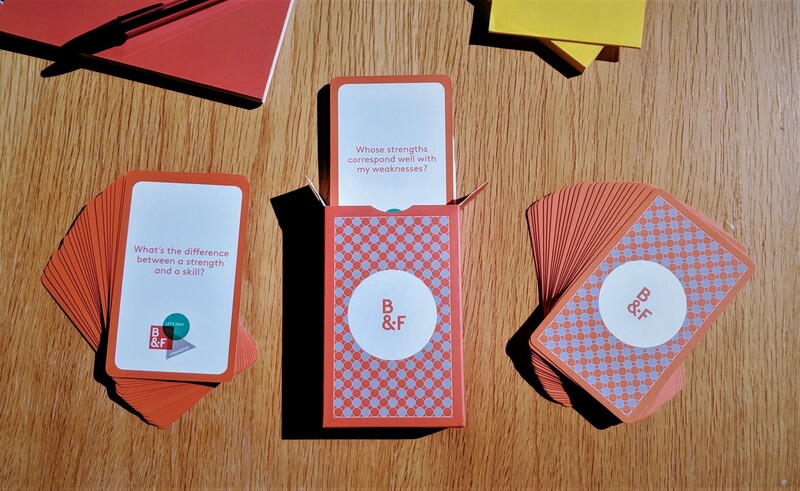 Our ‘Let’s Talk Wellbeing’ cards are easy-to-use for starting meaningful conversations about the things that positively impact psychological wellbeing and making sure we all keep our wellbeing front of mind. 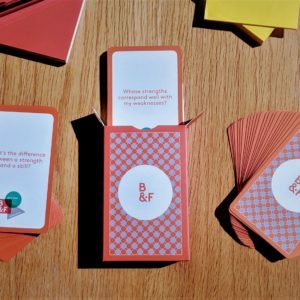 Let’s Talk Wellbeing cards are a fully flexible discussion tool that can be used in a variety of different scenarios to empower people to have positive conversations about wellbeing. 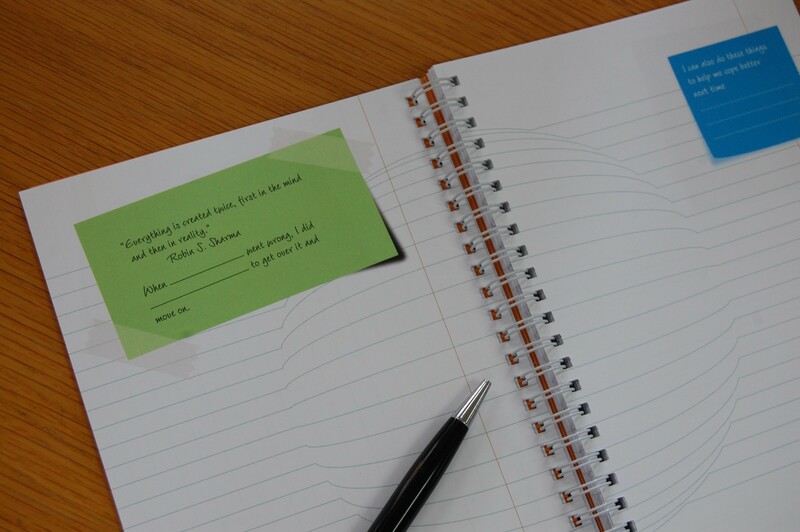 Grounded in Dr. Martin Seligman’s PERMA model of Psychological Wellbeing¹, which focuses on flourishing and thriving, these cards give quick activities, action points or questions that can be used in a wide range of conversation activities and events such as meetings, 121’s, huddles or lunch’n’learns. 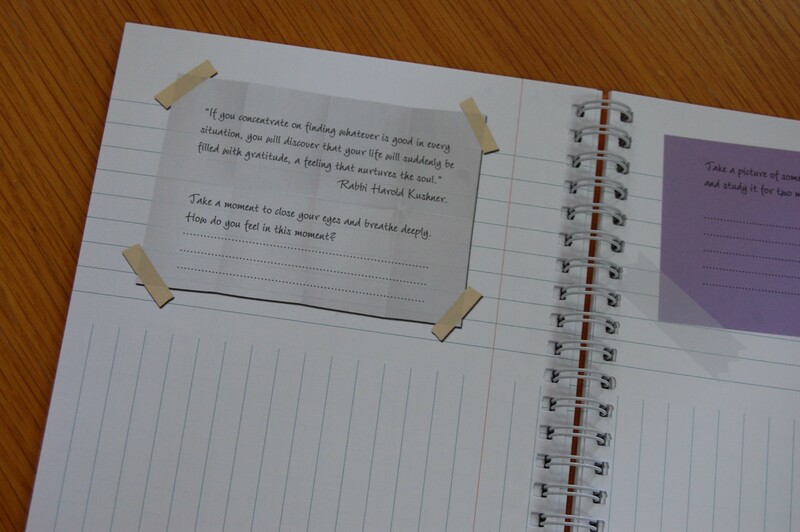 Each card has one discussion question to use in teams, pairs and individually. The cards are themed on the five pillars of psychological wellbeing: Positive emotions, Engagement, Relationships, Meaning, and Accomplishment. Performance conversations can be something that all people look forward to having and truly benefit from. Being able to have great performance conversations is a skill that can be learned. Our ‘Let’s Talk Performance’ cards are easy-to-use for starting conversations about the things that positively impact how we perform, they are a fully flexible discussion tool that can be used in a variety of different scenarios to empower people to perform positively. Grounded in research based on what elements impact performance the most at work, our Let’s Talk Performance cards are themed on the core six elements: Respect, Clarity, Strengths, Praise, Growth, Empowerment¹. 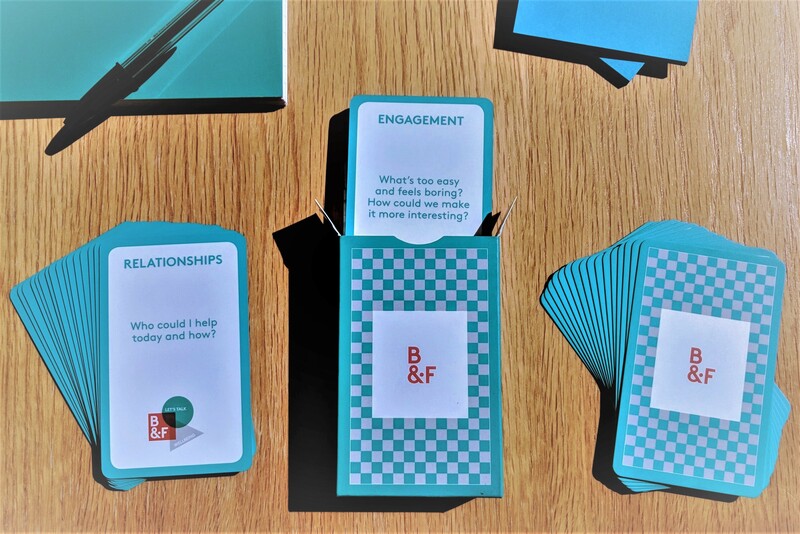 These cards offer quick activities, action points or questions that can be used in a wide range of conversation activities and events such as meetings, 121’s, huddles or lunch’n’learns. The subtle change in perception of performance, combined with the understanding and application of the core elements results in people performing better. Organisations/HR can tell managers to have performance motivation conversations more regularly and tell employees to take accountability for setting them up, but people won’t necessarily want to have them unless we change the tone upfront. 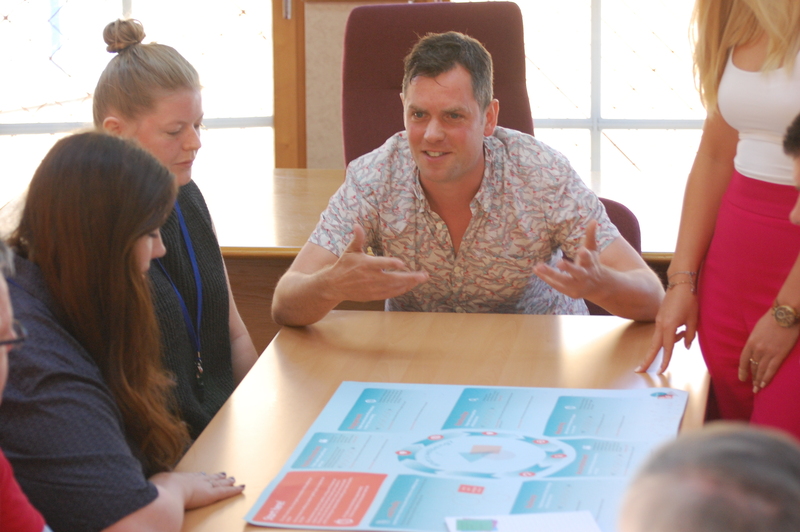 We believe that it is time to evolve the way we have performance conversations, so that the underlying purpose of the conversation is to help the individual flourish and thrive in their role and beyond. This is not a ‘soft approach’ but aims to increase the time people spend in peak performance and help them work around issues that cause underperformance. 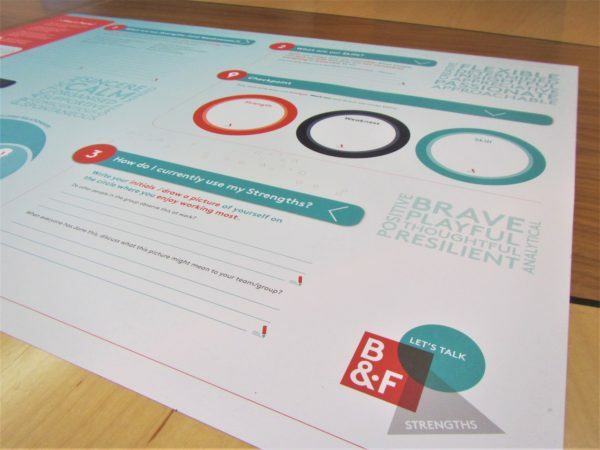 Our Let’s Talk Performance Motivation Mat helps to open conversations around the 6 foundations¹ of positive performance. 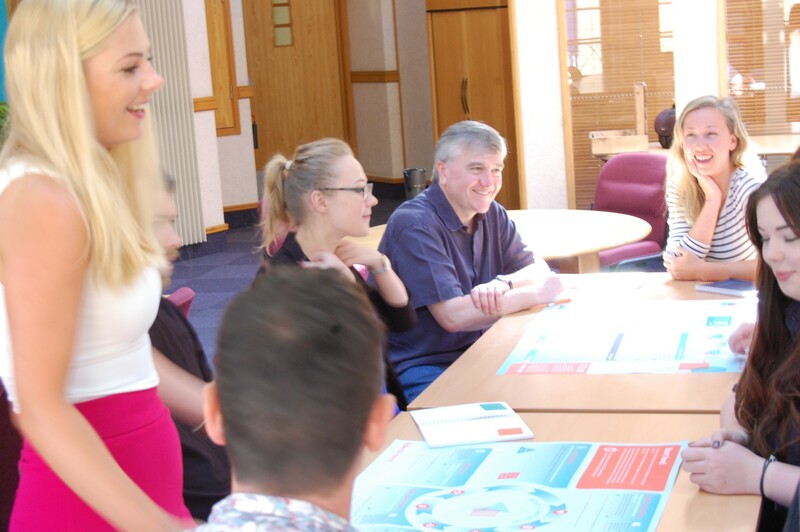 Easy to self-facilitate, each mat can be used by groups of up to 12 and multiple mats can be used in order to cover larger teams, groups or whole organisations. 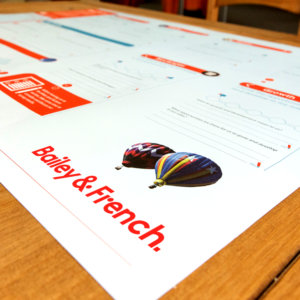 It takes around two hours to complete and is a perfect lunchtime activity or form part of an away day with teams. 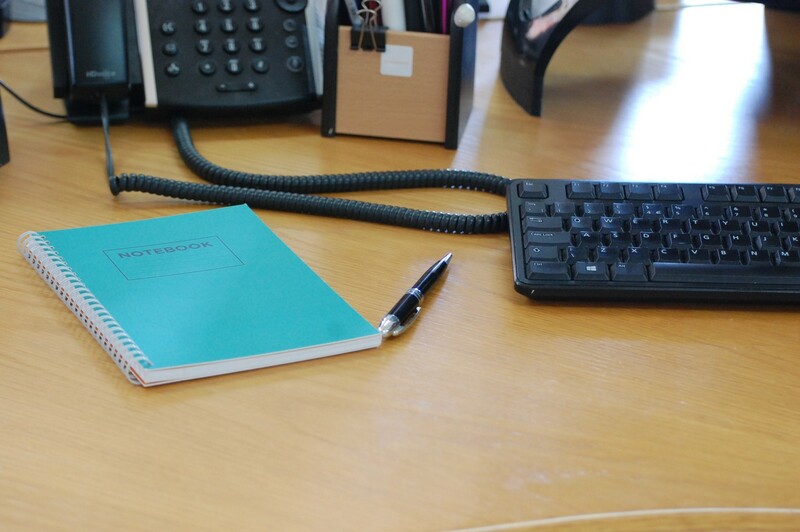 It can be done in any space and only needs a table, pens and participants! 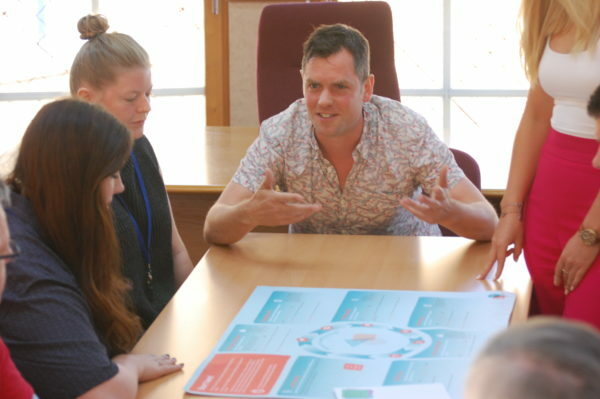 It helps teams/leaders tackle often difficult subjects in a non-judgemental way that engages the whole group and provides a ‘pulse-check’ diagnosis of engagement and detailed data to inform organisational development strategies. 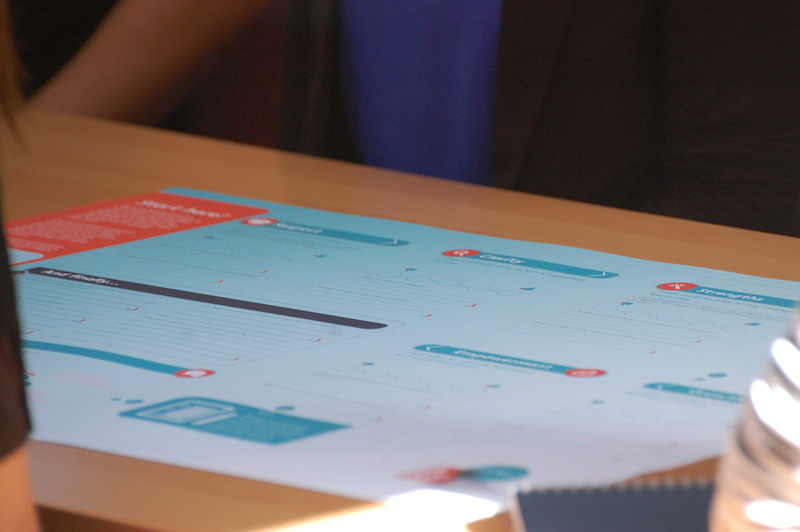 When purchasing the Performance Motivation Conversation Mat you will also receive a User Guide and FAQs, giving more information about the background and research behind the Dialogue Mat. 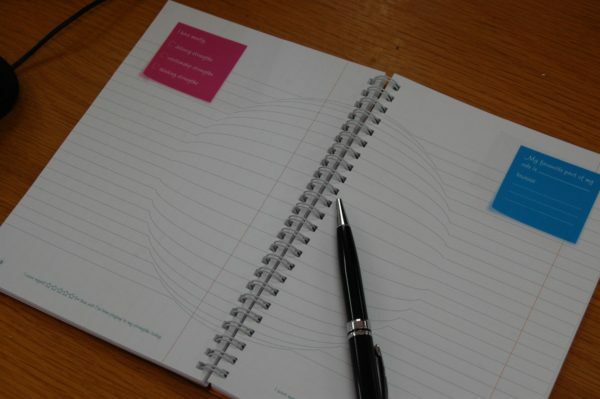 These also offer information on how to prepare and deliver a session, the impact you should expect to see, and how to use the mat most effectively with teams. – Performance Management/Motivation: Create foundations of respect and transparency for regular team feedback and performance motivation. – Better Understanding: For managers and organisations to understand how to best motivate performance in individuals and teams. – Increased Performance: By having clarity over how to best motivate ourselves, we are able to spend more time in peak performance. – Increased Accountability: People experience increases in emotional intelligence that results in more accountability for their own performance. – More regular performance conversations: Once the tone has changed and people are directed on how to have more effective conversations, the regularity increases. 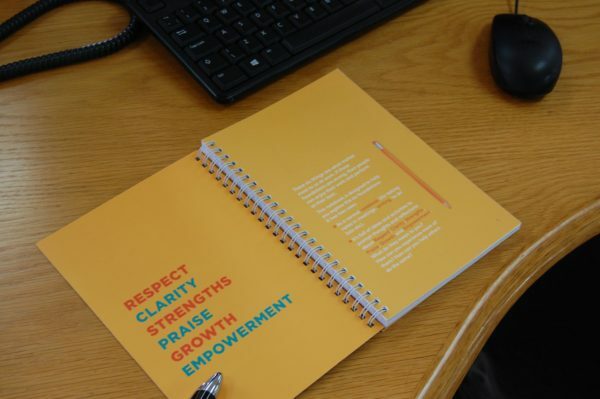 The six foundations that matter most to people’s performance at work are Respect, Clarity, Strengths, Praise, Growth & Empowerment¹. If these are strong then people can enjoy their work and perform at their best. 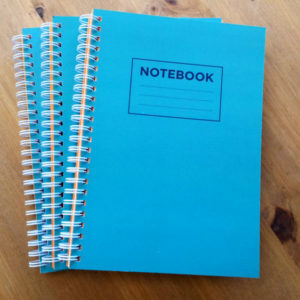 This notebook helps individuals reflect on their own experience of the six most important elements for positive performance in the workplace. It’s packed with interactive activities, reflective questions and practical tasks, designed to keep performance front of mind. 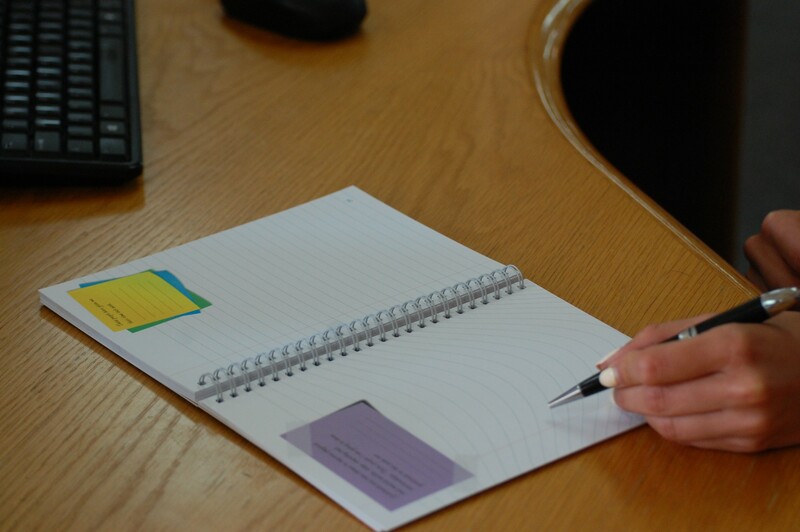 It encourages individuals to explore how they can take action to strengthen their performance on a daily basis and supports teams to collaborate regularly to develop their team performance. The format of the notebooks helps incorporate learning naturally into our day-to-day activities and provides further tools and ideas for positively impacting performance. It starts to shift the tone of conversations to be more positive and for individuals to feel empowered to take action. 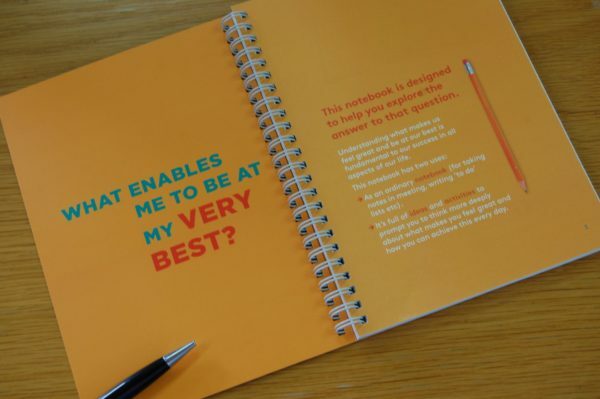 It’s also an excellent resource for Managers with helpful prompts they can use in huddles and team meetings to initiate and stimulate positive performance. A common misconception is that people who use their strengths every day are 6X more likely to feel engaged at work, 8% more productive, 15% less likely to leave and 3X more likely to have excellent quality of life¹. 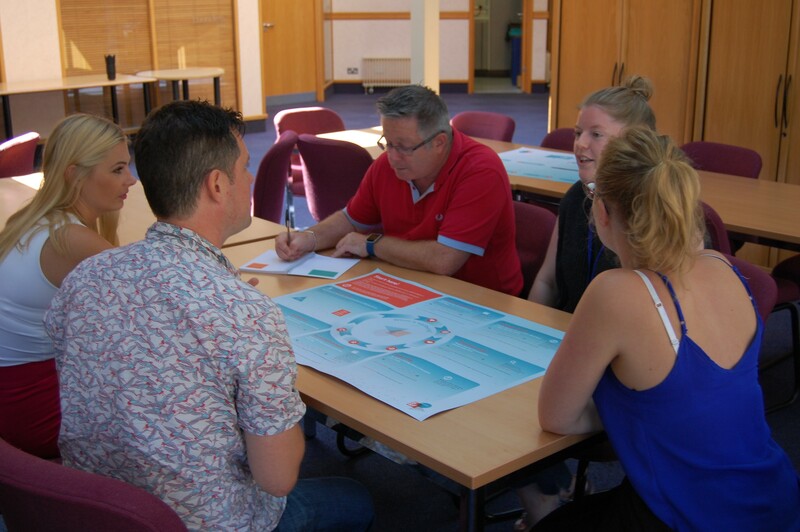 Lots of organisations are adopting or using a strengths-based approach in areas across the employee lifecycle such as recruitment or performance. We know the real value of this goes beyond individuals knowing what their strengths are to actually apply this into work every day. The application has greatest effect when teams can support each other to do this effectively with regular, specific feedback. This tool is designed to bridge the learning into application for teams and focuses the group in directed conversations that develop clear and transparent connections for performance. 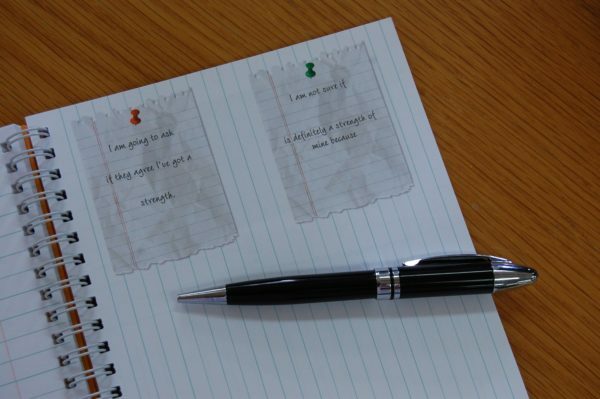 The is a self-facilitating team discussion tool designed to be used by groups of up to 12 people to open conversations around their strengths, (multiple mats can be used in order to cover larger teams, groups or whole organisations). 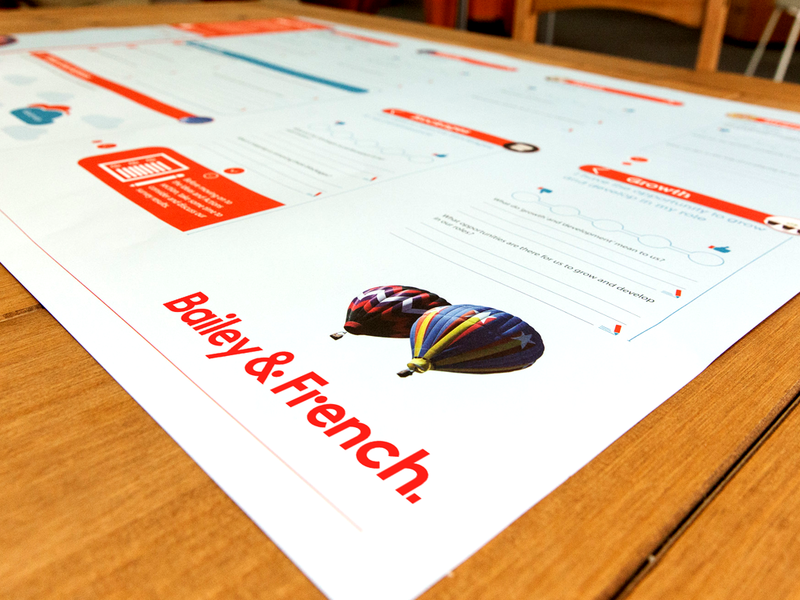 It takes around two hours to complete and is a perfect lunchtime activity or form part of an away day with teams. It can be done in any space and only needs a table, pens and participants! When purchasing the Let’s Talk Strengths Conversation Mat you will also receive a User Guide and FAQs, giving more information about the background and research behind the mat. 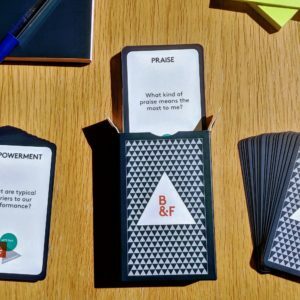 These also offer information on how to prepare and deliver a session, the impact you should expect to see, and how to use the mat most effectively with teams. – New teams: Get to know each other well and in ways that will rapidly onboard people and reduce the time it takes to perform. 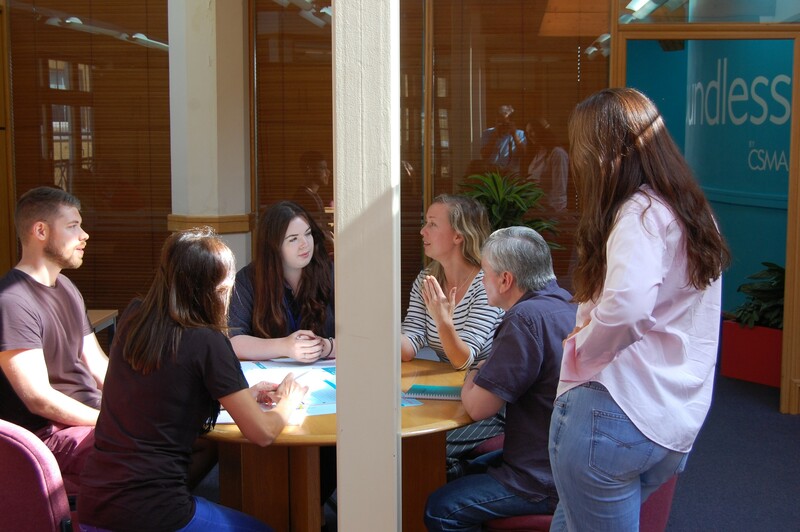 – Collaboration: Getting teams to effectively and efficiently work together. – Respect/ Diversity & Inclusion: Helping teams establish a positive foundation for respecting each other’s unique and individual contribution. – Self-Managing Teams: Supporting teams to take more ownership and accountability for their performance. People who use their strengths every day are 6X more likely to feel engaged at work, 8% more productive, 15% less likely to leave and 3X more likely to have excellent quality of life¹. This notebook helps us reflect on how we and our colleagues apply our strengths day-to-day, and the positive impact this has on our work and relationships. The questions and prompts throughout are designed to take us through the four stages of the emotional intelligence model, developing greater self-awareness and awareness of others so we are better able to manage ourselves and our relationships. 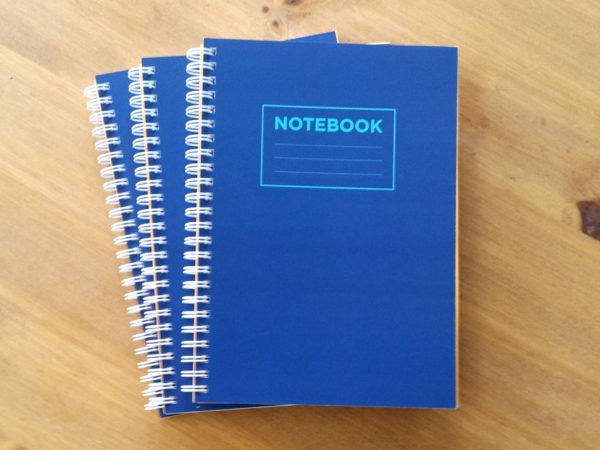 The notebook supports this journey of learning and helps each person define strengths for themselves in a way that is fun and easy. It’s packed with interactive activities, reflective questions and practical tasks, designed to keep strengths front of mind. 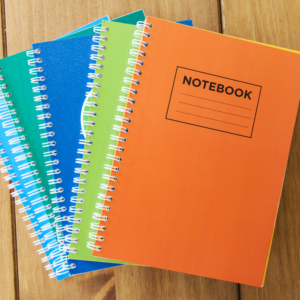 The format helps incorporate learning naturally into daily activities and provides further tools and ideas for improving awareness around our strengths and opportunities to use them more. 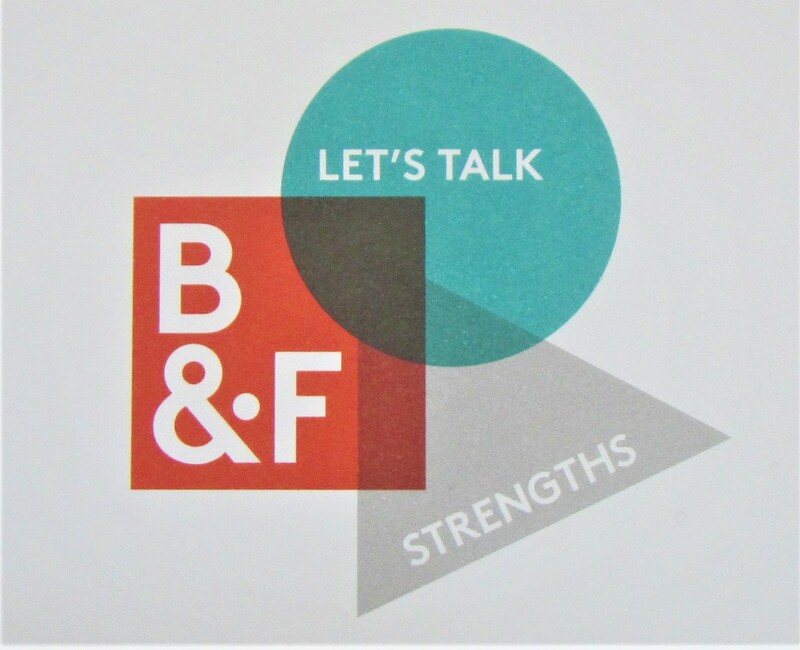 It’s also an excellent resource for Managers with helpful prompts they can use in huddles and team meetings to initiate great strengths-focused conversations. Wellbeing is talked about in organisations a lot, but there is often little on offer beyond physical health programmes and support for those with mental illness. 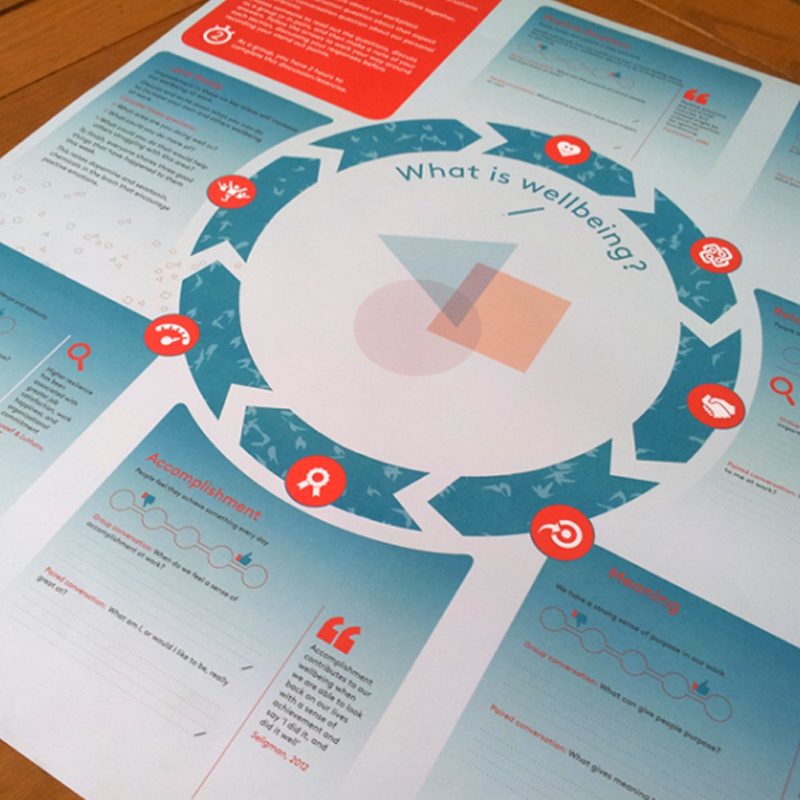 Based on the latest research into wellbeing, this mat helps us explore the five pillars of the ‘PERMA’ wellbeing model¹, building teams that are more aware of their own and others’ wellbeing, and what can affect it. 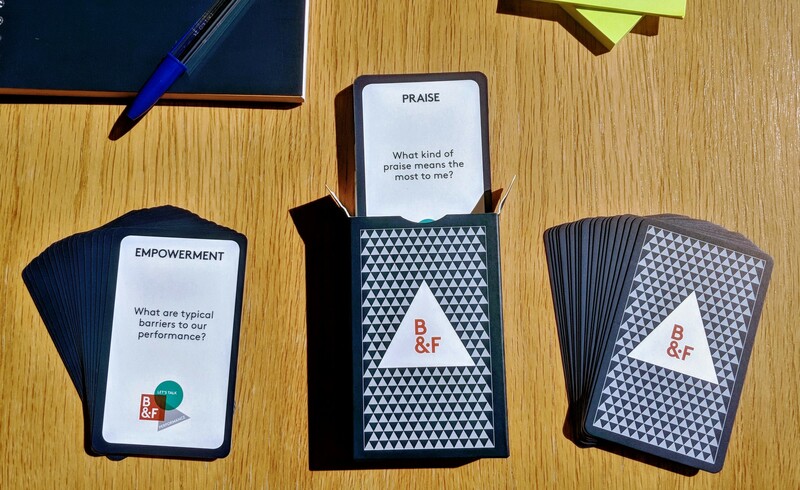 This team discussion tool focuses on building wellbeing at work. 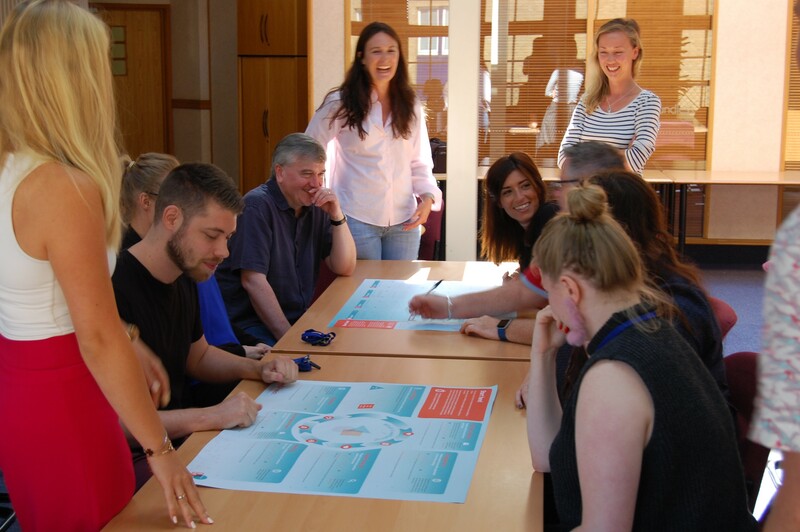 Teams use the tool to explore the PERMA model of wellbeing focusing on what helps us thrive and flourish at work. It gives an immediate pulse check diagnosis of the five pillars to support further action. 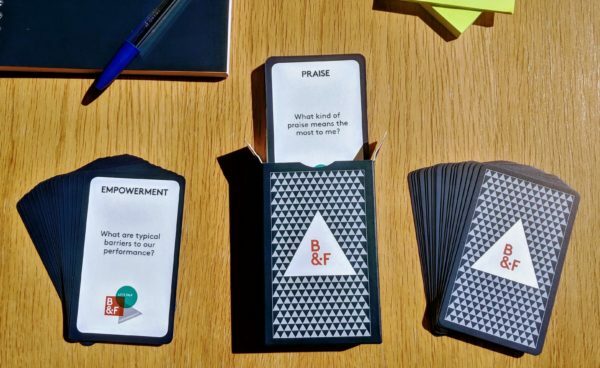 These are the ideal tools for small and large-scale team days, providing a simple and fun platform for engaging with individuals and teams. Easy to self-facilitate, each mat can be used by groups of up to 12 and multiple mats can be used in order to cover larger teams, groups or whole organisations. 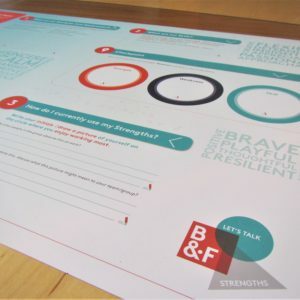 Each mat provides frame-worked discussion topics, encouraging each person to contribute, tackling difficult subjects in a non-judgemental way and empowering people to take action. 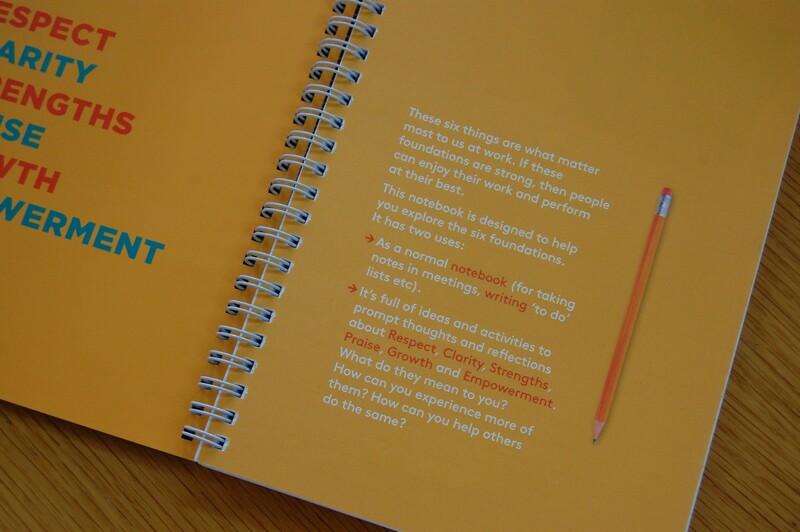 Purchasing the Let’s Talk Wellbeing Conversation Mat you will also receive a User Guide and FAQ’s, designed to give more information about the background and research behind the Dialogue Mat, how to prepare and deliver a session, the impact you should expect to see, and how to use it effectively within a team/organisation. 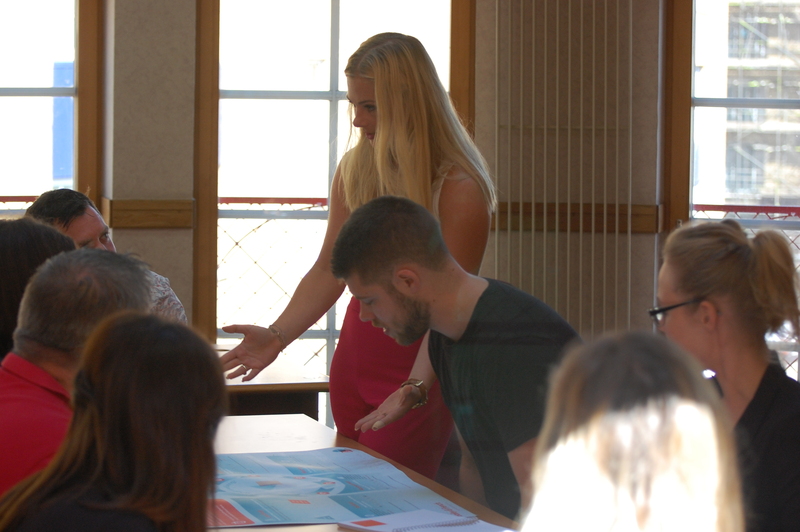 – Increase in Emotional Intelligence: People increase their self and other awareness, allowing them to better connect to themselves and others. – Increased Accountability: Identifying that positive wellbeing is something that everyone can manage themselves naturally increases accountability. – Uniting People: The mat creates a united feel amongst participants, this is a result of the shared self-discovery. – Improved psychological wellbeing: There is an immediate rise in positive wellbeing and this can be sustained through application of the core components of PERMA. 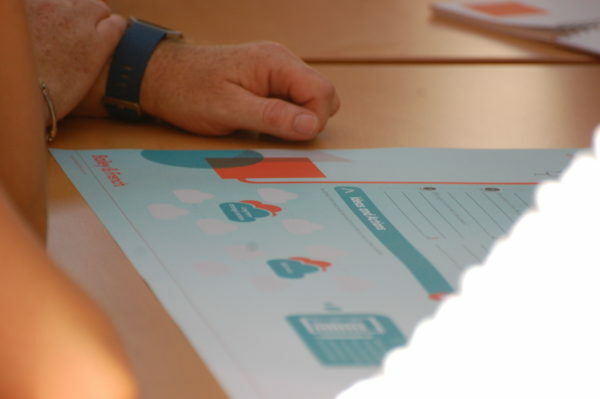 – Pulse-check diagnosis: Offering a true pulse-check of how people feel, as well what key areas of focus on for teams or the organisation. A common misconception is that wellbeing is just about physical health and avoiding mental illness. 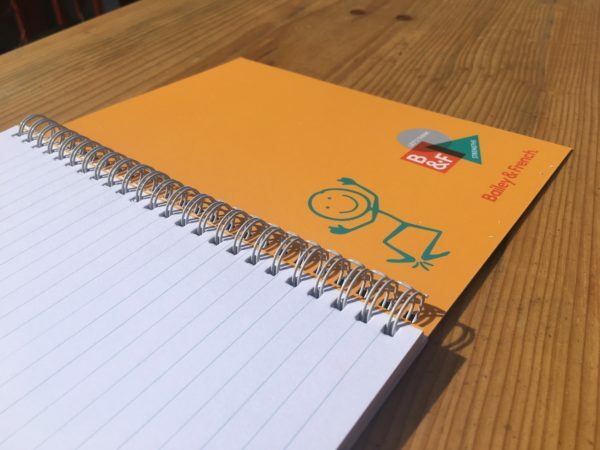 This notebook shows that there’s much more to wellbeing and more we can do to support it, with far reaching possibilities in the workplace and beyond. 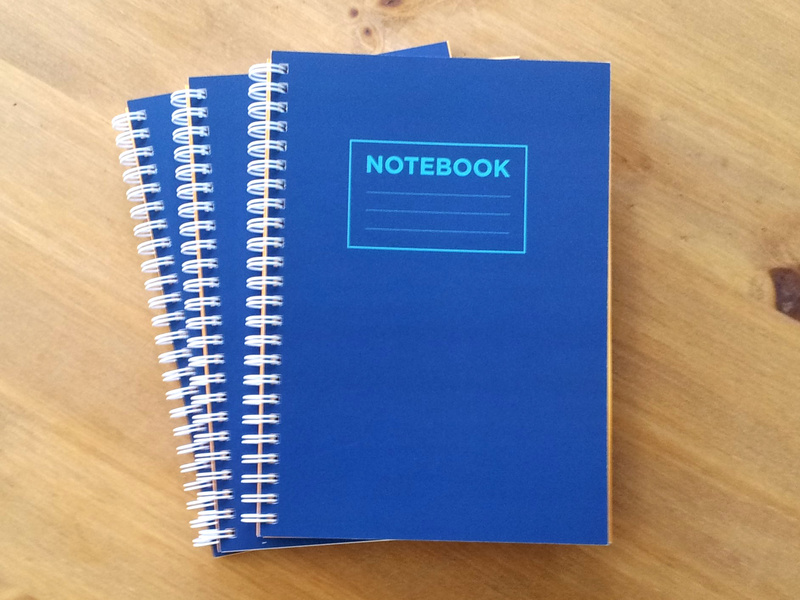 In a world that is increasingly complex and uncertain, our notebooks empower people to be able to face life’s challenges positively. 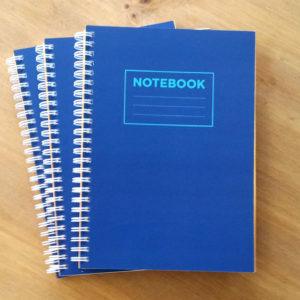 The notebook has fun and thought-provoking reflective points and activities throughout, themed by 5 pillars of wellbeing in the PERMA model¹. 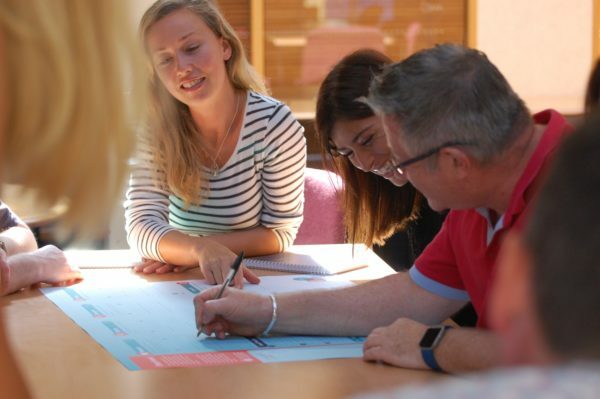 By bringing our conscious awareness to these key elements we are prompted to consider how our work and wellbeing connect and identify opportunities to increase our general wellbeing and resilience in and out of work. 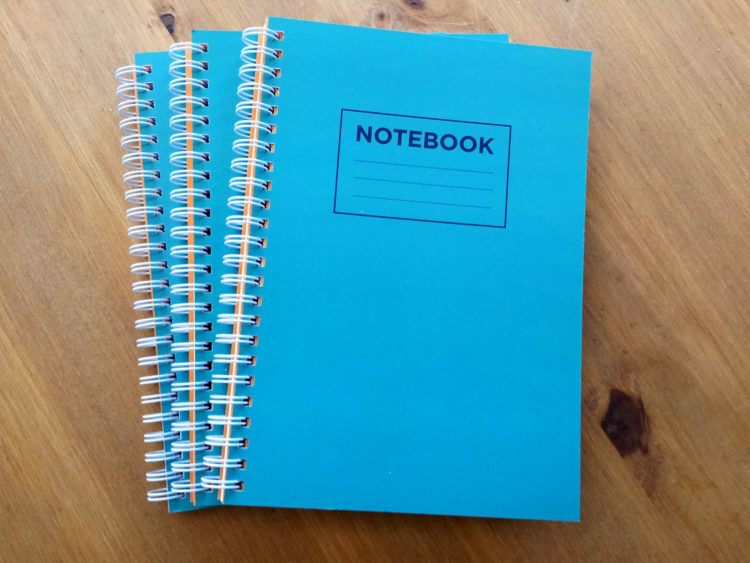 The notebook helps us reflect on how we can take action to maintain and improve our wellbeing on a daily basis and provides further tools and ideas to positive impact wellbeing. 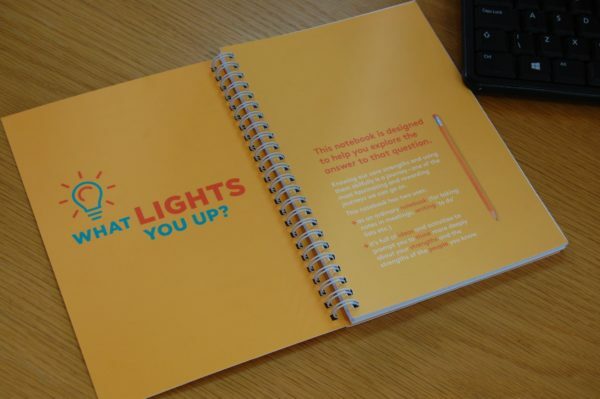 It’s also an excellent resource for Managers with helpful prompts they can use in huddles and team meetings to keep individual and team wellbeing front of mind.